The weather has been so mild this winter (up to now) that we have managed to keep going. We have been working on the hard landscaping for three large gardens so that they are ready for planting up once the weather improves, probably after Easter. 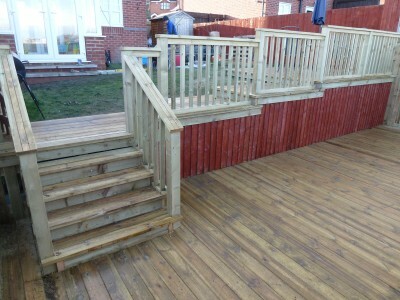 We also worked on a large decking project that has been finished that I thought may be worth including in a blog. 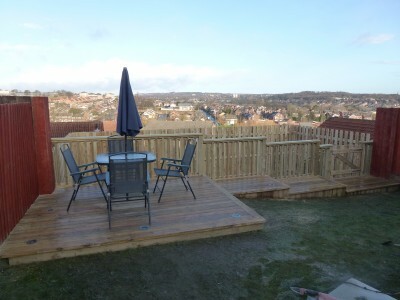 This garden belongs to young couple who have a new house in Bramley with superb views across the Aire valley. The builders left their house (and all the others on the street) with a big fence that prevented them falling down a large drop onto the remainder of their land. This was good on the one hand but unfortunately it meant they couldn’t use 40% of their garden or have the magnificent view. 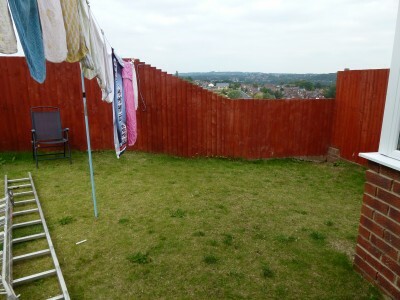 The plan was to build a small deck in the usable part of the garden and a large deck on the lower level that will become their baby boy’s football pitch/play area. The plans required planning permission which was granted before the work started. 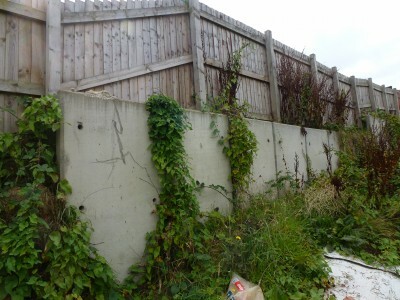 I think it is fair to say that the garden has been transformed and that the cost of the work has definately been met by the extra value on the value of the property.